Have you heard of Flytographer?! If not, prepare to be blown away. Flytographer’s mission is to help travelers get beautiful photography while vacationing and honeymooning. Yes and amen to that. I’m such an advocate for creating lasting memories in the form of photos… or videos… or anything that can bring back those special moments and help remind you of these amazing experiences. I propose this to clients all the time, and it’s because I’ve had firsthand experience with the process and loved the outcome. My first Flytographer experience was in Paris, and to this day they are some of my favorite photos. Professional photoshoots on vacation make all the sense in the world to me. They give you the opportunity to capture an experience that is deeply meaningful, and most travelers really value that. Lets be honest — without a professional photographer taking photos of you, what are you left with? Usually a whole lot of selfies, pictures with only one of you as you pass the camera back and forth, or gambling with whatever you might get from the stranger walking past. Your head is probably cut off, it’s blurry, and they certainly didn’t wait for you to be ready so it looks like you got caught mid-conversation. And I don’t know about your husband, but mine hasn’t had all his #instagramhusband training yet. So even when I try to get him to take certain type of photos of me, they can be a little off and his patience wanes quickly. Joey and I aren’t trained models, but the beauty of a shoot with Flytographer is that they focus on lifestyle images. This means you aren’t required to know how to pose, or figure out all the best angles because what your photographer focuses on most is simply capturing the moment, and allowing the two of you to interact in the environment. Some trips are too important to rely on selfies. With Flytographer you have an easy way of connecting with great photographers all over the globe, and something as simple as just a 30 min photoshoot gives you the type of memories you are truly looking for. If you are looking to try them out, this Flytographer link will give you $25 off your first shoot. And if you are booking your trip with me, that deal will apply as well — first time or not! 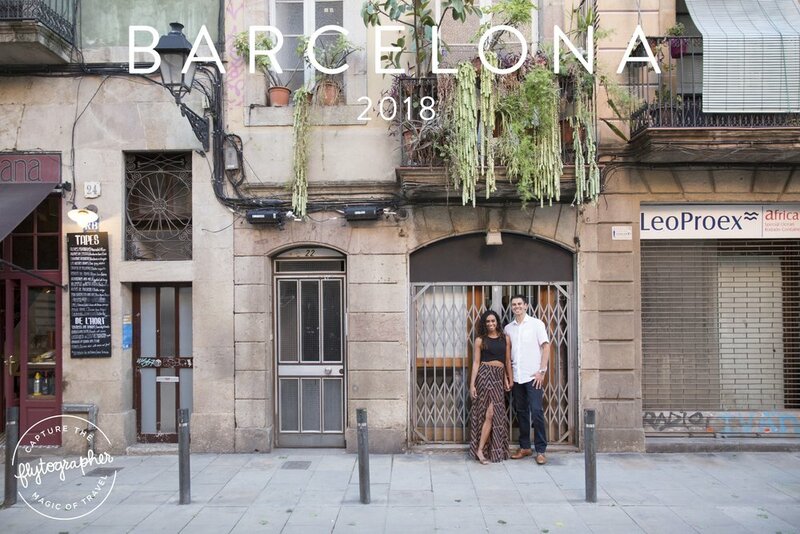 If you are considering a trip to Barcelona, you must check out my guide to A PERFECT DAY IN BARCELONA.